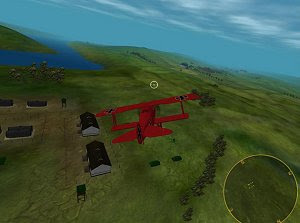 Sky Battle brings you to the fierce aerial bombings of WWI. You have the option of choosing between the two rival factions. Get in your plane and meet the battle. Remember, your country depends on your military prowess. Your mission is to destroy enemy zeppelins and many other ground targets in this intense flight shooting game. Sky Battle offers many different game features. Players can choose to fine-tune their skills by choosing training missions, and working up through three levels of difficulty. A total of 20 different aircraft to choose from the game options are virtually endless!